I first wrote about Future Shock, an ambitious Second Life Machinima series produced by Pryda Parx, in September 2016, when the first part in the series was released, and then revisited the project at the start of 2017, once the entire first season was available on You Tube. In August 2017, a special “Director’s Cut” version of the first season was released, bringing all eight parts (plus the initial trailer / introduction) together into a single 32-minute film which included previously unreleased footage, even as Pryda was working on the second season of 9 episodes. The new series was released over a period of several months in 2018, although sadly, the scheduling of things (coupled with other matters) prevented me for covering them at the time. However, on December 27th, 2018, Pryda released another Director’s Cut, which brings all eight parts of this second season together into a single 23.5 minute film, which as with the first series version, includes previously unreleased footage. So this seems a good time to catch-up on the series, with apologies to Pryda for only now getting to it. In short, Future Shock is a story of a somewhat dystopian / semi-cyberpunkish world where technology infiltrates every part of people’s lives, watching over them, seemingly providing both a protective blanket and providing various means personal gratification and escapism through the intertwining of their physical and virtual lives. But all is not as it seems. Rather than guiding / guarding / assisting, technology has come to dominate, defining everyone in terms of their net worth, or IP Credit (draw your own conclusions from the use of “IP”). So long as this remains positive, a person has little to fear – not even death; technology allows them to augment / redefine / rebuild their own bodies to suit their desires. But should a person’s net worth zero-out or entire a negative value, then things can become uncomfortable, and survival less-than-certain, with those in debt clinically – if harshly – dealt with; as is also the case for those perceived to be a threat. Tracy Grayling: protagonist – but innocent, or self-obsessed mole / agent? Thus, this is a world of questionable moral and ethical values. people’s lives are determined by what is effectively a line on a balance sheet, while the people themselves are driven by baser instincts: greed, desire, avarice, envy, determined to raise their credit value, wanting to make themselves better physically than their peers through surgery / augmentation, or to be able to have sufficient value to escape into the virtual realm – a place reached not in the home, but within life support centres, the body fed and cared for while the mind escapes – and the all-important credit balance ticks down minute by minute. Life in this world is very much factionalised; not everyone may approve of the way technology is all-pervading, or the way in which humanity has come to rely so wholly on it. Others simply seek to exist not caring for anything more than the next opportunity to become immersed in the virtual, while some seek to improve themselves, whilst also seeking a means for self-expression. What made the first series engaging was both the visual style used throughout: the physical world is a dark, cold monochrome place for the most part, where colours are minimally used – blue to highlight technology, for example; red as a negative. Conversely, the virtual realm is a place vibrantly alive with colour and imagination, warm and inviting and far removed from the physical. Also, the storytelling is richly layered. This opening drops us into the middle of things, roughly 19-20 years hence. We’re quickly introduced to a number of the core elements – particularly the idea that humans are regarded as little more than constituent parts of the whole, to be recycled as required, plus the main protagonist for the story, Tracy Grayling, but the overall context can only be understood and the pieces fitted together by watching all the segments in turn – and at times returning to a previous segment in order to gain further insight. This approach is continued through the nine episodes of the second season, which adds a further layering, in that the series records the events of the first, but from the perspective of a another group of characters, the “rebels”. Slightly shorter in length overall than the first season segments, the second series also lifts the production values seen within the production. 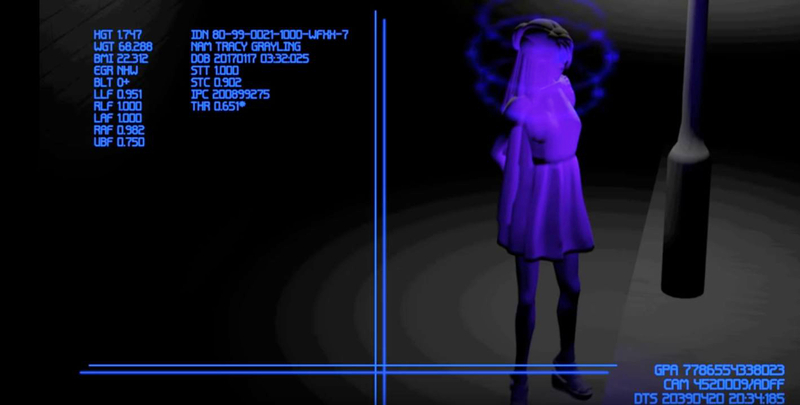 In this, Pryda made no bones about the fact that in filming the first series of Future Shock, she was also going through a learning curve in terms of machinima production – and the second season shows that she has learnt a lot, and has a very definite approach to style, nuance and overall production. Future Shock is an engaging series, one that tells both a story and raises questions about the future and our increasing reliance on technology and what it may mean for personal freedoms – including the freedom of expression. These questions have perhaps become more salient over the course of the two years in which Pryda has been working on the series; as such it is worth viewing from this perspective as well. For those who wish to see more, Pryda has also produced a series of short pieces providing insight into the principal characters. However, I would recommend only watching these after seeing the entire series; they contain significant spoilers!